Sho Hampton had 17 assists Tuesday to help Canyon Springs’ boys volleyball team to a 22-25, 25-20, 25-21, 25-16 home win over Cheyenne. Curtiss Viamagalo tallied eight digs and six kills, and Malachi Su’a added eight kills for the Pioneers. Canyon Springs also got six kills from Tony Washington. Western 3, Chaparral 2 — At Western, Miguel Mata had eight kills and 44 digs as the Warriors outlasted the Cowboys, 25-14, 25-15, 27-25, 25-22, 15-13. Alejandro Sanchez had 10 kills and 32 digs, and Eri Calva added three kills and 55 digs for Western, which got five kills from Angel Sanchez. Centennial 3, Cimarron-Memorial 1 — At Cimarron, Mark Frazier had 22 kills and 13 digs to help the Bulldogs top the Spartans, 25-8, 23-25, 25-19, 25-18. Andrew Shiheiber added 61 assists, Nahmani Brown had 17 kills and five blocks, and Justin Madsen had 15 kills and 10 aces for the Bulldogs. Kilmor Amor had eight kills, 22 assists, one ace, four digs and one block for Cimarron. Arbor View 3, Desert Pines 0 — At Desert Pines, Malik Jean-Louis had six kills to help the Aggies to a 25-13, 25-14, 25-7 sweep of the Jaguars. Cainan Peters added five kills for Arbor View. Palo Verde 3, Eldorado 0 — At Eldorado, Cooper Jarman’s six kills and 16 assists lifted the Panthers over the Sundevils, 25-8, 25-14, 25-7. Griffen Mendenhall had five kills, Andrew Tingey added six kills, and Preston Dudley had four kills for Palo Verde. For Eldorado, James Metzger had six digs, and Javonte Dorsey had three kills and one ace. Rancho 3, Legacy 0 — At Rancho, Adlai Rodriguez supplied 14 kills and nine digs to lead the Rams to a 25-22, 25-11, 25-21 sweep of the Longhorns. Jhonathen Reyes added 17 assists for Rancho. Garrett Linnell had 10 digs and eight kills, and David Yancy tallied 10 assists and six digs for Legacy. Boulder City 3, Valley 0 — At Valley, Preston Jorgensen had 14 kills to help the Eagles beat the Vikings, 25-11, 25-14, 25-16. Kenny Rose had 10 kills, and Karson Bailey had five kills for Boulder City. Boen Huxford added 20 assists, and Kannon Rose had five digs for the Eagles. Efran Zepeda had five kills and two aces for Valley. Liberty 3, Las Vegas 0 — At Liberty, Jordan Wafer had 12 kills to help the Patriots to a 26-24, 25-23, 25-14 win over the Wildcats. Pascal Chavez had 11 kills, and John Roberts added seven kills for Liberty. Sefania Mamea dished out 34 assists, and Atapana Malele-Faaifo added 11 digs for the Patriots. Kevin Sweitzer had 17 assists, three aces and nine digs for Las Vegas. Allan Juarez added seven kills and nine digs, and Jaelin Gray had seven kills for the Wildcats, who got nine digs from Jam David. Del Sol 3, Sky Pointe 0 — At Del Sol, Alan Ramos-Flores had four kills and 35 assists to help the Dragons to a 25-23, 25-22, 25-9 sweep of the Eagles. David Anderson had nine kills, and Kiyale Sydnor had eight kills and three blocks for Del Sol. Alex Marin added seven kills and four digs, and Tyrell Hampton had seven kills for the Dragons. Jaegen Driscoll paced Sky Pointe with 19 kills. Brayden Dorsey dished out 36 assists, and Danny Cox had four kills for Sky Pointe. Mojave 3, Sunrise Mountain 0 — At Mojave, T.J. Blanchard-Davis had 18 kills, five digs and two assists as the Rattlers defeated the Miners, 25-12, 25-22, 25-18. Juan Carbajal had two kills, 31 assists, and eight digs for the Rattlers. Taveon Alexander added 10 kills and four digs, and Julio Alfaro had six kills and three blocks for Mojave. 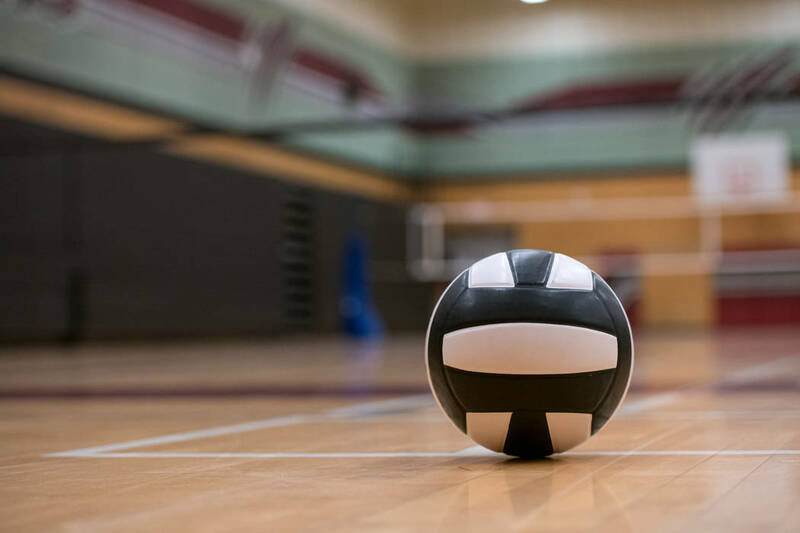 Spring Valley 3, Somerset-Losee 0 — At Somerset-Losee, Cesar Godinez tallied 11 digs, seven aces and three kills, and Alan Quach had 24 assists and nine aces as the Grizzlies swept the Lions, 25-14, 25-12, 25-8. Mariano Saucedo supplied five kills, four aces and two blocks, and Carson Dooley added five kills for Spring Valley. Chris Dulalia had four assists, and Caevee Cruz notched two kills for Somerset-Losee.